Calendar pad stand with black plastic base features removable arch-shaped wires for use with loose-leaf, flip-style, 3-1/2" x 5-1/2" calendar refills. 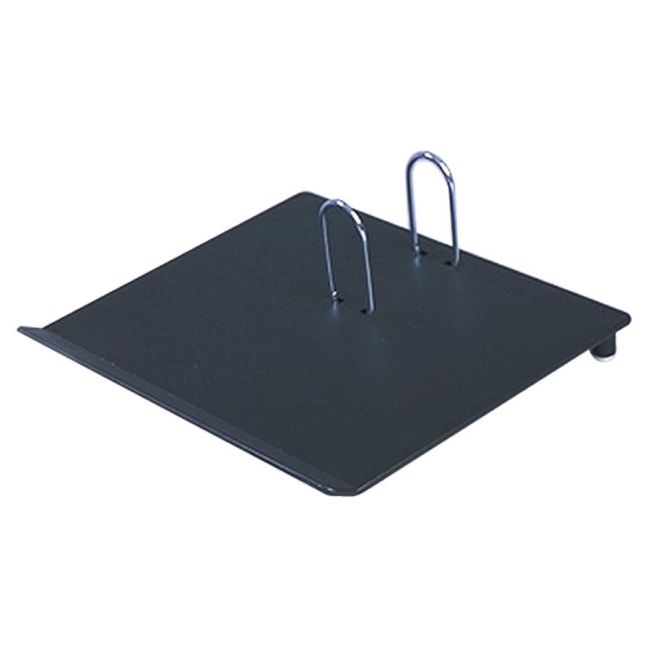 Nonmarking shoes on the bottom of the stand protect your desktop surface. Calendar pad stand meets Executive Orders 13514 and 13423 and is made using 25 percent recycled material.